A balanced and diversified investment portfolio makes the most of many different areas of the markets and styles of investing. 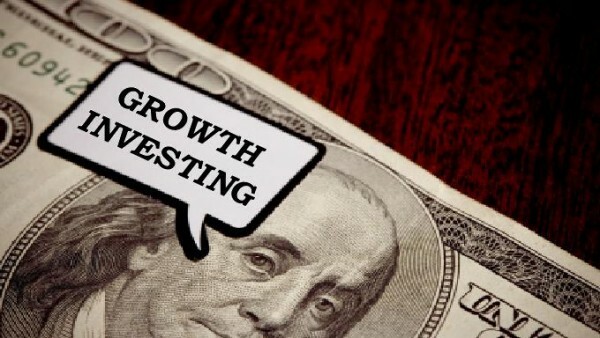 As part of that mix, growth investing focuses on the stock of a company whose earnings are expected to grow at a higher rate than the overall market. Growth companies typically pay little or no dividend because they feel they can better serve their investors by reinvesting in the company rather than paying out earnings in cash to shareholders. As opposed to a value company that pays dividends and hopes to have its share price rise as market conditions improve, growth companies plow earnings back into the business to try to grow the share price. To foster financial literacy, the Talking Money feature covers common terms and concepts used in personal finance and investing. This edition, from Kyle Tetting, looks at growth investing. Growth investors look to profit through the potential above-average growth of these companies and often are willing to pay a premium for the stock, which can result in higher price-to-earnings ratios than value companies. As a result of expected above-average earnings growth and lack of dividends, growth stocks tend to be used by investors looking for capital appreciation rather than income. Investors aren’t limited to picking individual growth stocks however. Many mutual funds focus on the growth area of the market, whether it is small-, medium- or large-sized companies – or some blend of the three. Most importantly, growth companies are in an expansion phase, which they hope will grow their earnings faster. But projecting those earnings is particularly difficult because they’re not necessarily based on revenue streams that are well-established or stable. Since a growth company reinvests in the company rather than paying a dividend, there is additional uncertainty about the company’s worth. Because investors often pay a premium for growth potential, there is less room for stock price appreciation if earnings growth is less than expected. For more Talking Money terms, please click here. Visit our Landaas University page for other resources. Growth and value companies tend to switch off in leading stock market performance over time. A study of past recessions suggests that, on average, value stocks lead during economic recovery while growth stocks lead in downturns. A balanced long-term investment approach avoids placing too large a bet on either side of the coin. By overweighting certain asset sectors or styles at the margins – but staying balanced overall – investors can participate in the potential upside of many different investment areas while limiting their exposure to the downside of being too concentrated in any one group.